Patent trolls are stifling innovation. Using overbroad patents based on dated technology, trolls threaten litigation and bring infringement suits against inventors. Trolls, also known as Non-Practicing Entities (NPEs), typically do not produce products or services, but are in the business of litigation. They lie in wait for someone to create a process or product that has some relationship to the patent held by the troll, and then they pounce with threats and lawsuits. The cost to the economy is staggering. Watkins calls attention to this problem and the challenges it poses to maintaining a robust rate of technologically progress. He also examines a more fundamental problem: an outmoded patent system that is fundamentally ill suited for the modern economy. Finally, he examines proposals for reforming the patent system. Patent trollsa.k.a. non-practicing entities that make money by buying, licensing, and enforcing patents rather than by selling productsare exploiting the U.S. patent system and stifling the innovation it was created to encourage. After trolls acquire a patent right, they often lie in wait while the industry is developing, before they identify targets and threaten legal action. From 2007 through October 2010, patent lawsuits reduced the capitalization of targeted firms by an estimated $83 billion per yearan amount equal to more than one-quarter of U.S. industrial R&D spending per annum. One study estimated that from 1990 through October 2010, these lawsuits destroyed wealth valued at more than $500 billion. Patent trolls are targeting companies at the forefront of technological innovation. As of August 2013, the most pursued companies were Apple, Hewlett Packard, Samsung, AT&T, Dell, Sony, HTC, Verizon, LG, Google, Amazon, and Microsoft. The litigation is expensive, with multimillion-dollar damages not uncommon. In 2012, a Texas jury awarded VirnetX, a non-practicing entity, more than $368 million in damages payable by Cisco Systems. For many companies, patent lawsuits are a costly nuisance that diverts resources and managerial attention away from development, production, and marketing. For small companies with little means to defend themselves, a patent lawsuit is not simply a costly nuisance; its an existential threat. In the late 1990s, Brandon Shalton and a group of nuns developed technology that allowed clergymen to record messages that could be quickly digitized and posted on the Internet. Just before they were to launch their product, however, they learned that a patent troll held rights to a similar technology. Rather than risk a lawsuit that could have bankrupted them before the case was even decided, Shalton and his nuns closed up shop. The U.S. patent system is ill suited for a dynamic economy. The United States Patent and Trademark Offce (USPTO) is overworked and understaffed, causing patent examiners to approve most applications and to shift the burden of resolving infringement claims to the courts. But a more fundamental problem is the one-size-fits-all patent policy. A patent life of twenty years across all industries is a policy that fails to recognize that the pace of innovation varies by industry. Patent trolls are stifling innovation. Using over-broad patents based on dated technology, trolls threaten litigation and bring infringement suits against inventors. Trolls, also known as Non-Practicing Entities (NPEs), typically do not produce products or services, but are in the business of litigation. They lie in wait for someone to create a process or product that has some relationship to the patent held by the troll, and then they pounce with threats and lawsuits. The cost to the economy is staggering. 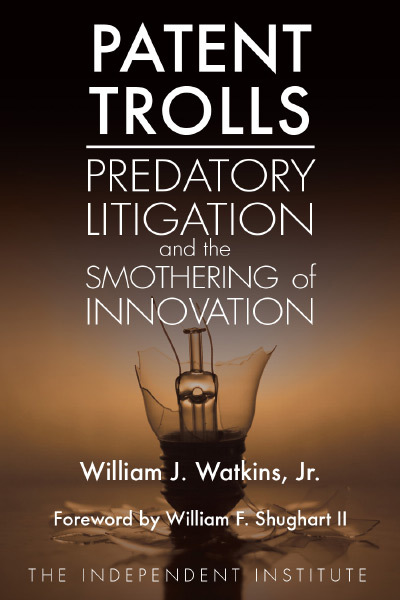 In Patent Trolls: Predatory Litigation and the Smothering of Innovation, William J. Watkins, Jr. calls attention to this problem and the challenges it poses to maintaining a robust rate of technological progress. After describing recent trends and efforts to tame the trolls, Watkins focuses on ground zero in patent litigationthe Eastern District of Texas, where a combination of factors makes this the lawsuit venue of choice for strategically minded patent trolls. He also examines a more fundamental problem: an outmoded patent system that is fundamentally ill suited for the modern economy. Finally, he examines proposals for reforming the patent system. The U.S. patent system was created to spur innovation, but today it is having the opposite effect. However, if legal reformers heed the analysis and proposals presented in Patent Trolls, the prospects for crafting a legal environment that promotes innovation are favorable. Patents date back to the late 1400s and are generally believed to promote innovation. Government grants a patent in return for a full disclosure of the underlying technology so that innovation can enter the public domain once the patent term ends. Inventors are rewarded with a temporary monopoly, and they are allowed to recoup development costs. The power to grant patents in the United States is an enumerated power given to the Congress. Congress has created the United States Patent and Trademark Offce (USPTO). Because patent rights do not arise automatically, the inventor must submit an application to the USPTO. If the patent examiners approve an application, a patent is issued and is good for twenty years. Unfortunately, the USPTO has been short of funds and staff. This has led to less than thorough examinations of patent applications in recent decades. Because the USPTO is overwhelmed, the default option for patent examiners is to approve most applications and to shift the burden of resolving infringement claims to the court system. Under the law, a patent holder may file suit in federal district court and ask the court to enjoin the infringer and to award monetary compensation. Infringement is a strict liability tort, meaning that relief is available even if the infringers did not act deliberately or even know that the patent existed. In a strict liability regime, the courts do not ask if due care was used by the defendant, but more often focus on how much the injured party requires to make him whole. Trolls obtain patents not for the purpose of producing an invention or a technology, but to license and enforce the patents. Peter Detkin created the term patent troll when he was the Assistant General Counsel for Intel Corporation. According to Detkin, [a] patent troll is somebody who tries to make a lot of money offa patent that they are not practicing and have no intention of practicing and in most cases never practiced. Trolls seek broad patents likely to be infringed in a particular industry especially sectors such as software and related computer technologies. Researchers at the Boston University School of Law have calculated that from 1990 through late 2010, NPE lawsuits resulted in a loss of wealth exceeding half a trillion dollars (in 2010 dollars). From 2007 through October 2010, the losses averaged over $83 billion per year in 2010 dollars. the matter to court. Rather than risk becoming the target of a rapacious troll, he and the nuns decided to close up shop. Shalton is but one example of an innovator whose dreams were crushed because of our patent litigation dynamic. To fight back against the trolls, some of the key technology companies have formed the Allied Security Trust (AST). Sony, IBM, and Google are among the members of AST. The purpose of AST is to identify and purchase patents to prevent NPEs from acquiring the patents and then extorting money from actual producers of goods and services. 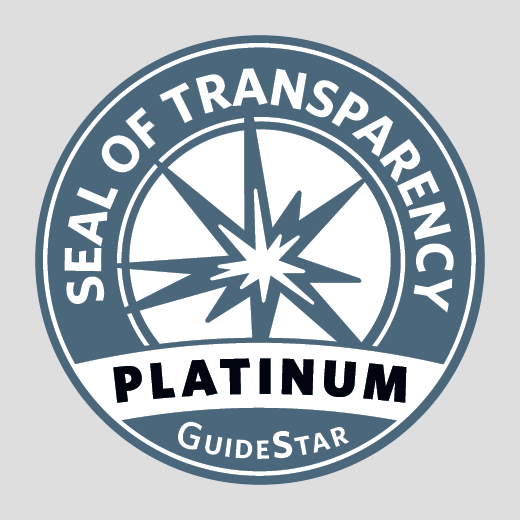 AST examines thousands of patents each year and tries to outmaneuver and outbid the trolls. If asked where most patent litigation occurs, the majority of Americans would answer New York City, the business capital of the United States. Others would point to Washington, D.C., home to the Patent and Trademark Office and our seat of government. Another logical guess would be California, with its myriad tech companies and research centers. No one but patent lawyers would give the correct answer: rural East Texas. The Eastern District of Texas leads the United States in the number of cases, plaintiffs, and defendants. There are many reasons why the Eastern District is the patent lawsuit capital of the nation. The local rules are plaintiff friendly with strict discovery deadlines and short trials. The districts so-called rocket docket keeps defendants off balance for most of the litigation. Jury consultants note that many East Texas residents are undereducated and have diffculty comprehending the complex technology that they must judge. Hence, patent trolls in East Texas enjoy much higher success rates than they would in other venues across the United States. Watkins offers a variety of solutions to address the problems created by the modern patent litigation system. For instance, we could abandon the one-size-fits-all patent policy. Patent holders typically enjoy an exclusive right that runs for twenty years from the date on which the patent is issued, but this system ignores that technological progress proceeds at different paces in different industries. Whereas a longer patent term might be proper for a manufacturing process, the author avers that software has a much shorter lifespan because of the rapid changes in computer technology. A five-year term for software would be more appropriate and would prevent trolls from using grossly outdated patents to target new inventions. Watkins also recommends changes in the Federal Rules of Civil Procedure to make it easier for defendants to challenge venue. Too often litigation is commenced in a district such as East Texaswith no real connection to the parties or the alleged infringement. Plaintiffs should shoulder a greater burden in defending their choice of forum. He also urges Congress to consider creating a court system devoted exclusively to patents and utilizing specialized or professional jurors. Patent matters have become too complicated to trust to generalist judges and lay jurors, Watkins argues. A modern patent court system would likely reduce the amount of litigation, discourage trolls, and put innovationrather than litigationat the center of the patent system. Patent Trolls takes note that Europe lacks the troll problems that plague the United States. The European unions restrictions on what is patentable, and its relatively inexpensive costs for challenging a patent, should be studied and parts thereof adopted in the United States. In Patent Trolls, William Watkins provides a thorough, yet surprisingly concise and readable, description of one of the most serious problems facing technological innovators: patent litigation and patent trolls. Thoroughly researched and documented, this book should be read by all who are concerned about the decline in America's competitiveness in the world market."